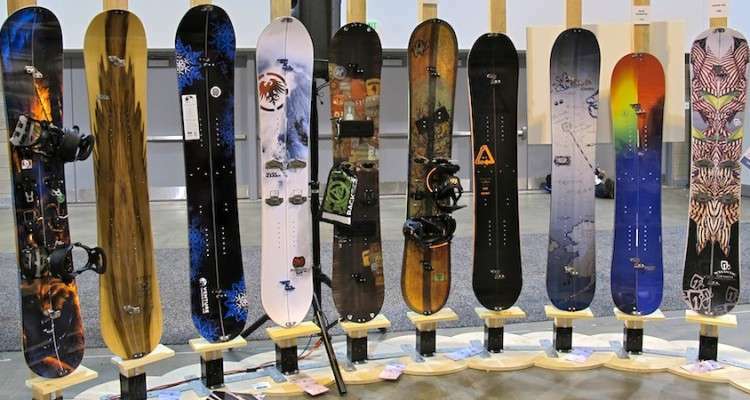 With the growing interest in our beloved sport of splitboarding over the last couple years it only made sense that I make the journey to the annual SIA Trade Show in Denver Colorado to bring our readers a look at next year’s product. Splitters can expect somewhere around 13+ brand new splitboard models, a new interface, and much more. It’s a good time to be a splitter yo! After returning from the recent SIA Snowsports Trade Show in Denver the term that comes to mind the most is “splitboarding is blowing up”. Never before has our category attracted so much buzz and attention within the industry. 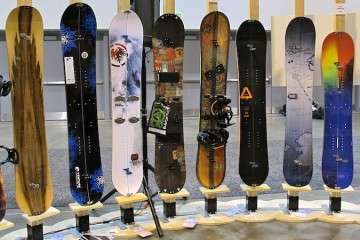 It’s seems as if almost all the major brands are making splitboards or some sort of product designed for us. As a long time splitter and advocate of the sport it’s pretty amazing to see . I can remember a time when we had just a few brands and models to choose from…now women’s splitboards make up a larger amount of choices than we had as a whole just a few short years ago. Some of our forum members have even gone as far to say that splitting is a fad and while that may be partially true, we thinking hiking and riding powder with your friends will never go out of style…it just took mainstream snowboarding a while to figure it out. This trip was my first real foray into covering the show from a journalistic point of view so needless to say there’s a number of things I missed and will do better next year. Enjoy and let us know what you think in this thread. The Spark R&D line up. The Blaze and Burner baseplates went on a diet to reduce weight. They both come in at the waist of the binding and the Blaze has additional material removed. The Burner baseplate stayed solid to keep the binding as stiff as possible. Both bindings have redesigned toe strap connectors that lock into place and no longer require extra hardwear. The heelcup connection points have been widened to add rigidity. Spark will also be doing their own skins and poles for next year as well. Check the sb.com homepage or Spark forum for recent videos. Here’s new Spark Edison binding and interface! (note – this is a working sample going through testing, not a production sample) So far the system looks impressive. The pins are fixed in place on the touring brackets and the baseplate has a lever to release the binding. Transition times should be improved and we look forward to testing this system later in the spring. The system also uses new overlapping metal connectors that will attach to a standard four hole pattern allowing for use on solid boards and DIY splitboards without the need to t-bolt. DeeLux Spark XV boot. Similar to the Spark boot but now includes a rear heel welt to accept a semi-auto crampon. Unfortunately there’s no additional protection for the toe-box (same as the Spark) which seems like it would make sense for a boot of this caliber. The fit improved in the liner and the powerstrap is non-removable (same as the Spark). Icelantic will be offering a split again next year called the Gemini. The board is produced by Never Summer and similar to their SL model. Boards come with Voile tip/tail/hook hardware. Lib will be making the Travis Rice split again this year with the Karakoram hardware. They’re also getting into surfboards. Gnu will continue to offer the Billy Goat split and add a women’s split to the line. Rome adds two new splitboards for 2013 with the Special Agent split based on their Agent solid (almost twin) and the PowderRoom for the ladies based on the WhiteRoom split. Boards come with Voile tip/tail/hook hardware.